VA 144 winding down. Here is the ramp to VA 36 westbound. Photo by Mapmikey, taken April 24, 2007. 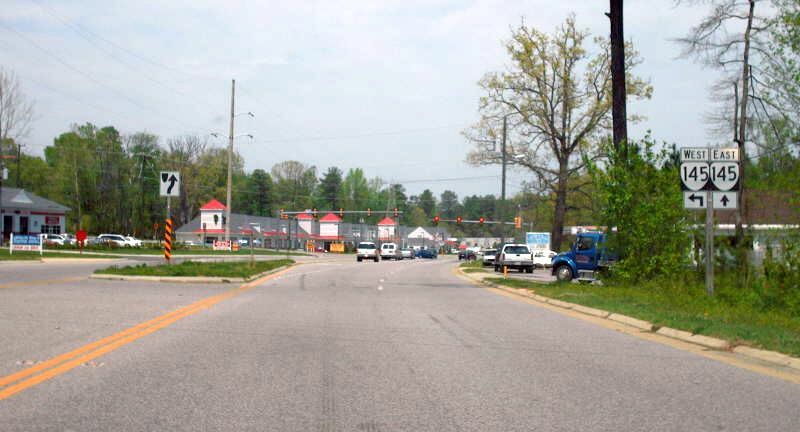 A little further around the curve is VA 36 and the Fort Lee entrance. Photo by Mapmikey, taken April 24, 2007. 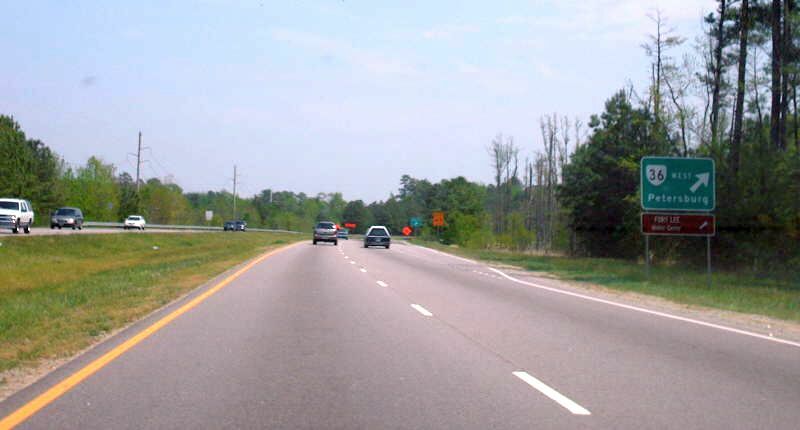 VA 144 as seen from VA 36 westbound. Photo by Mapmikey, taken April 24, 2007. 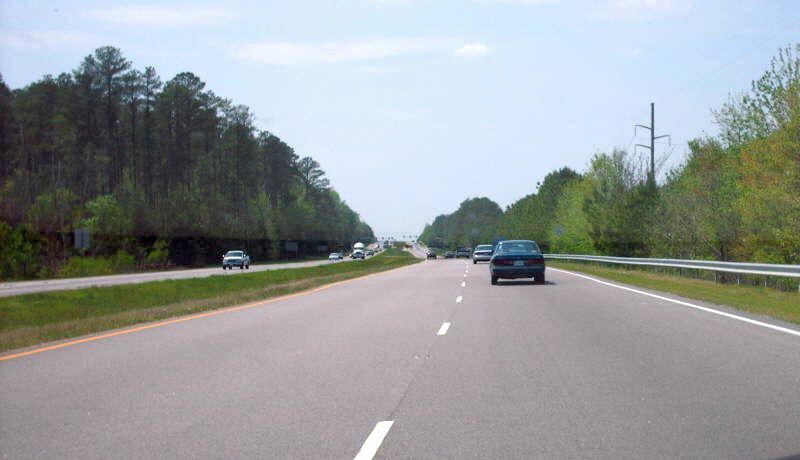 Beginning up VA 144 which has begun here since 1988. There was no reassurance here. Photo by Mapmikey, taken April 24, 2007. 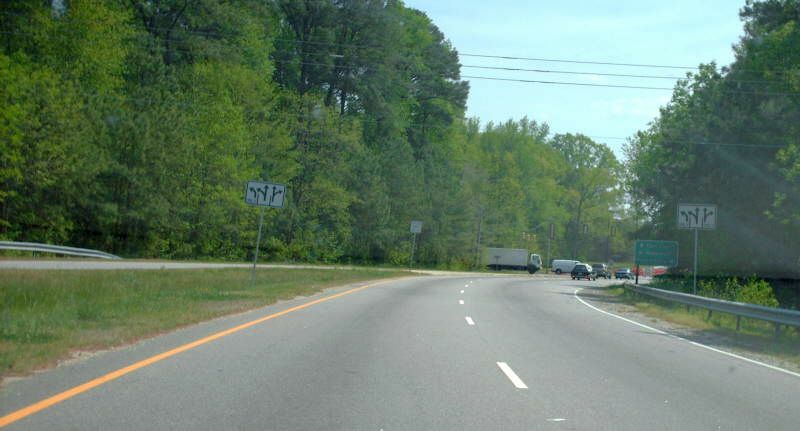 VA 144 from VA 36 east. Photo by Mapmikey, taken April 24, 2007. 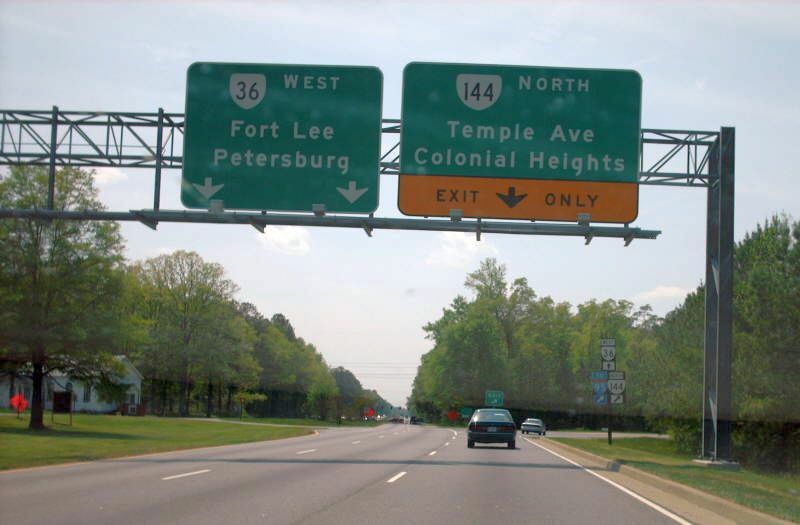 From 1943-88, VA 144 south ended at US 1-301 near Colonial Heights. Here is the view on southbound US 1-301. Photo by Mapmikey, taken April 24, 2007. 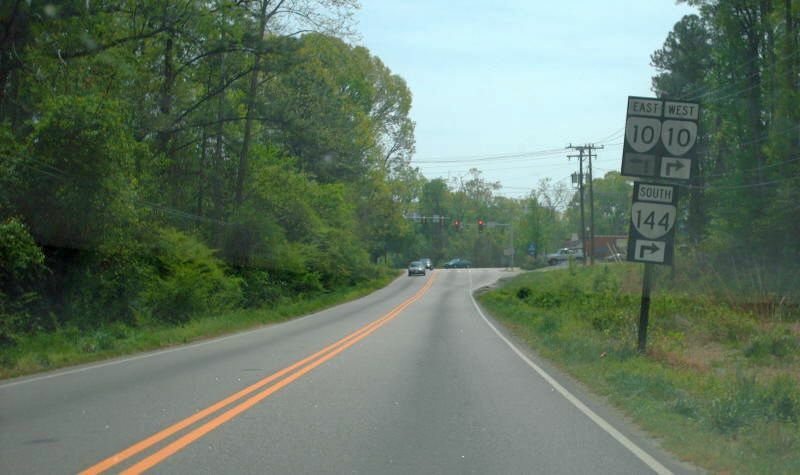 From 1933-43, VA 144 south ended at VA 10 in Chester. 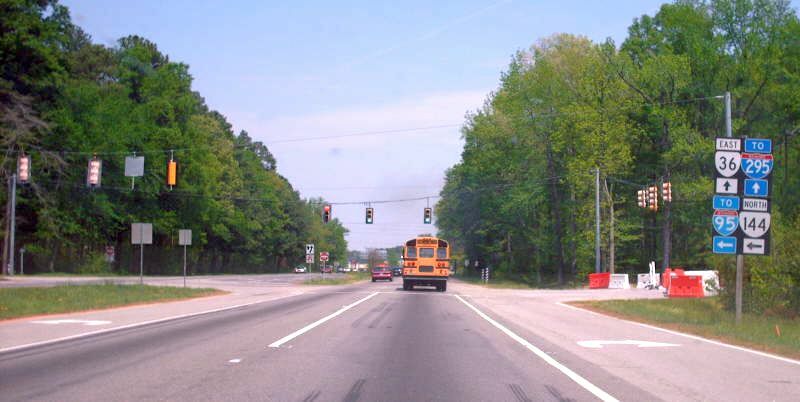 Here is the view from VA 144 south at VA 10. Photo by Mapmikey, taken April 24, 2007. 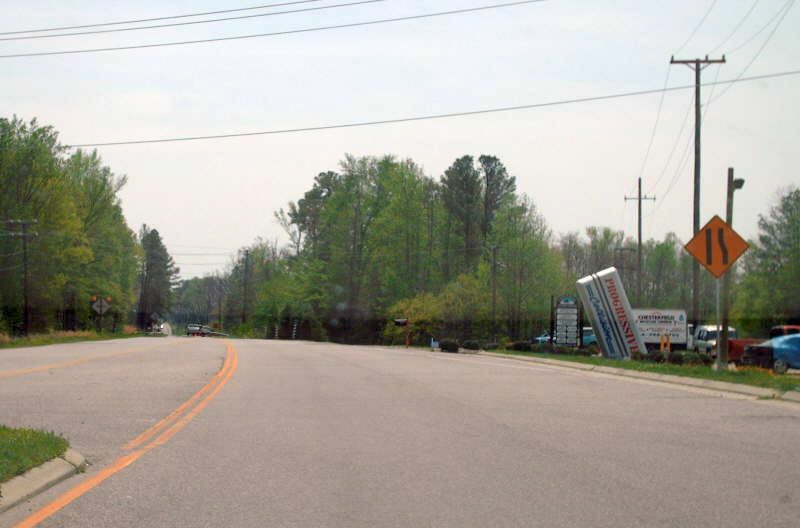 VA 144's original end from VA 10 east. Photo by Mapmikey, taken May 5, 2006. 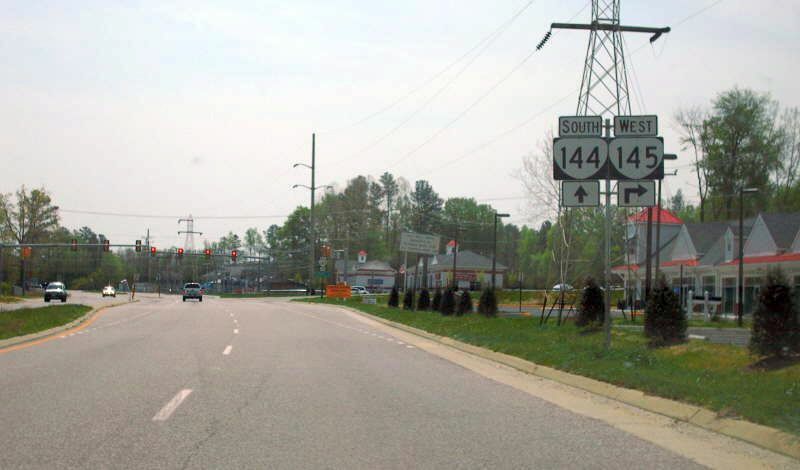 Approaching VA 144 along VA 145 west. Photo by Mapmikey, taken April 24, 2007. 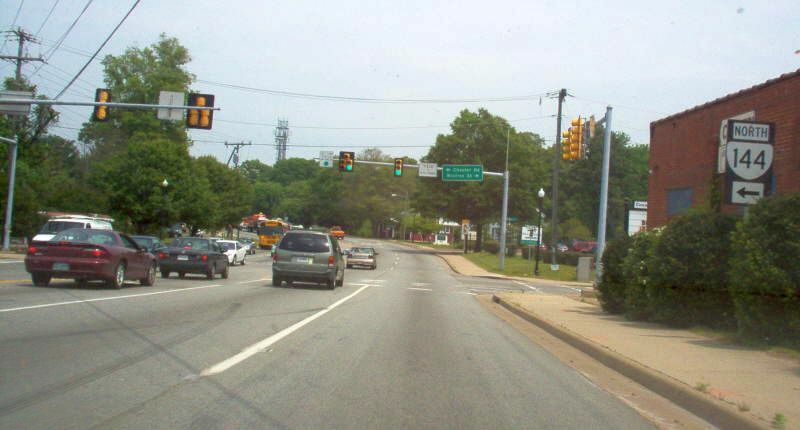 Beginning down VA 144 which had no shield until VA 10. Photo by Mapmikey, taken April 24, 2007. 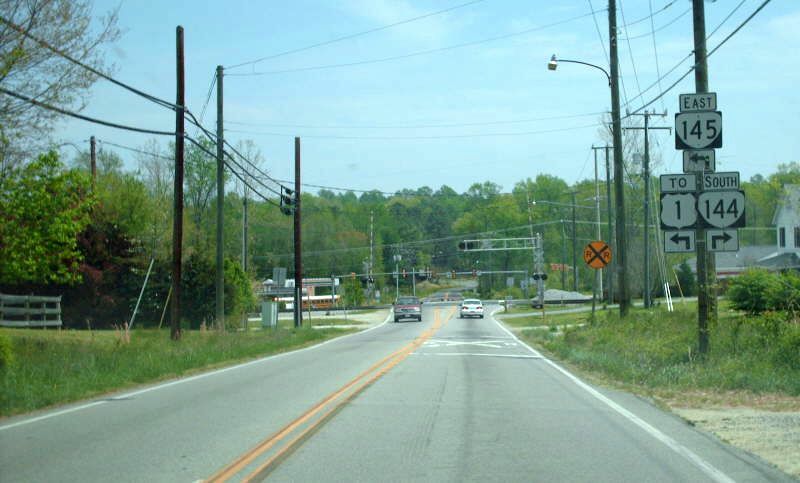 Approaching VA 145 from VA 144. Photo by Mapmikey, taken April 24, 2007. 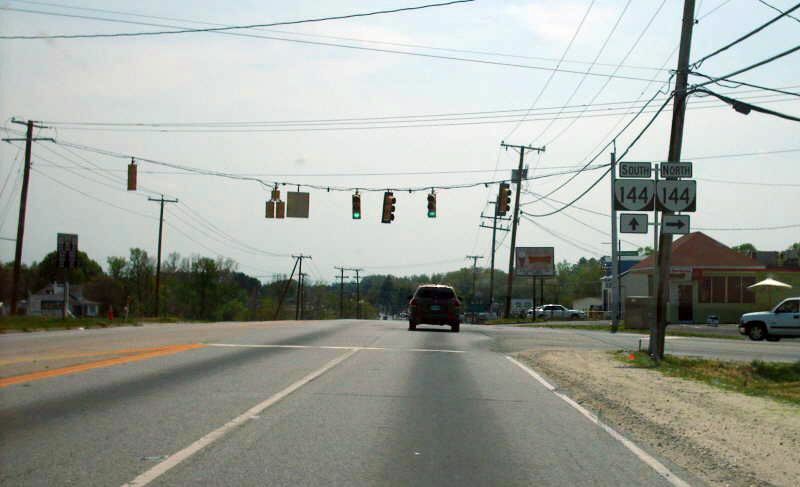 Approaching VA 144 from VA 145 east. Photo by Mapmikey, taken April 24, 2007.